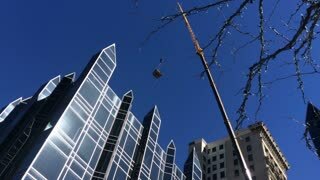 Search Results for "overhead crane"
Looking up at an overhead crane as it removes a large object from the room of a city skyscraper. crane beam moves. 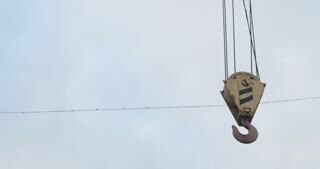 overhead crane moves. Closeup. 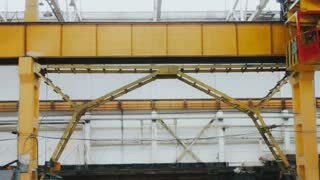 Overhead crane moves the concrete slab in the factory. Powerhouse crews prepare a pit and an overhead crane is used to move parts into place as the N8 generator is assembled and brought online, at Hoover Dam, in 1959. Trade war in China drives shipping ports out of business. Abandoned overhead crane in disused container yard at shipyard. Empty Chinese trade port with no people and no cargo. 1944 - An overhead crane is used to carry iron ore to a blast furnace at a steel mill in Youngstown, Ohio.